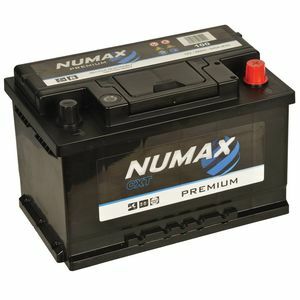 The Numax Premium Silver 100 car battery offers an extended service life and comes with a 2 year warranty. Before ordering the Numax Premium Silver 100 car battery, please check the physical size and terminal layout against your old battery but if you’re not sure, please contact customer services on 0845 459 3084. I ordered the Battery on a Saturday when my Car existing Battery had totally failed. New Battery dispatched on the Monday and delivered on the Tuesday. Fitted this myself and the car was instantly back to life. The Battery seems to be good in every way. I'm no expert so can only say it seems solid and good quality and starts the car like the day it was new. Unless I had a good reason, I'd never consider anything more expensive. Great. Quick delivery, well packed.